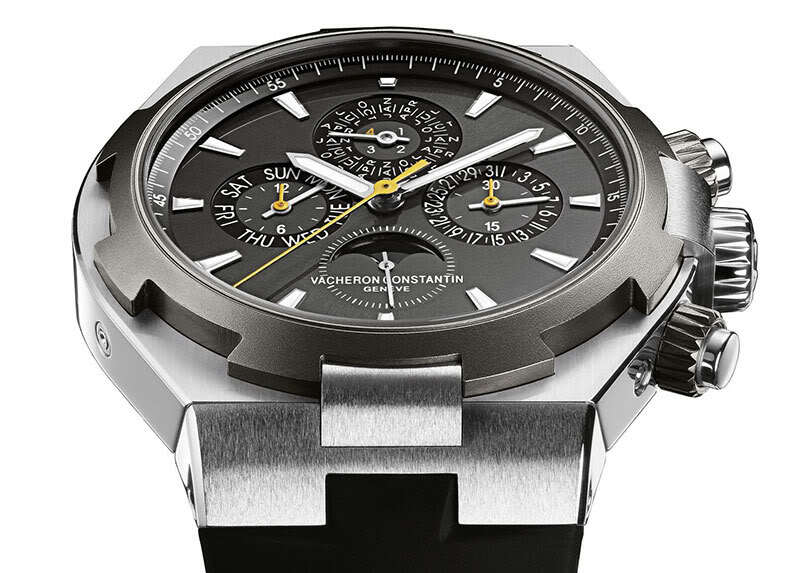 There is no question Vacheron Constantin makes exceptionally fine timepieces. The brand really comes into its element though when it focuses its attention on vintage-inspired models (in my humble opinion at least). These models invariably belong to the Historiques collection, which celebrates some of the brand’s significant models from the past by offering a fresh take. 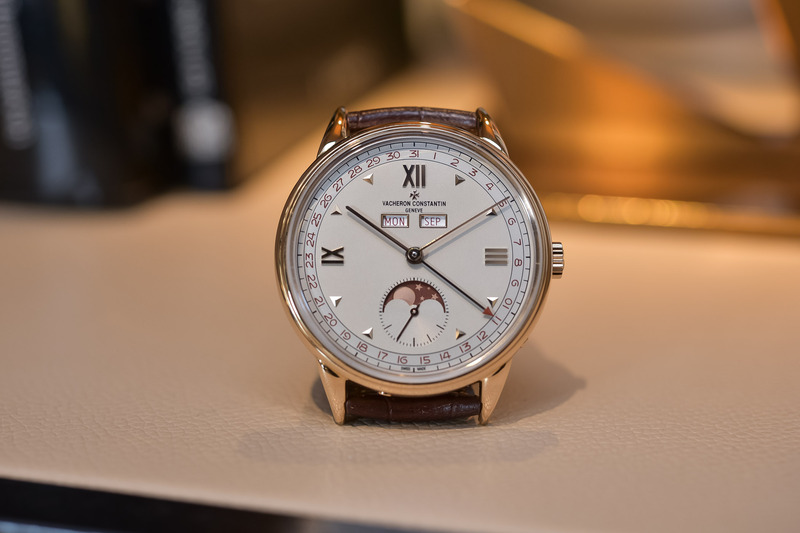 My previous favourite was the 1955 Cornes de Vache Chronograph launched in 2015 but that model was recently usurped by the Vacheron Constantin Historiques Triple Calendar 1948 I am reviewing here today – which is the luxurious and moon phase-equipped sister of the steel Historiques Triple Calendar 1942 reviewed here. Given that this collection focuses on historic models, it seems only fair to add in a bit of history for context. 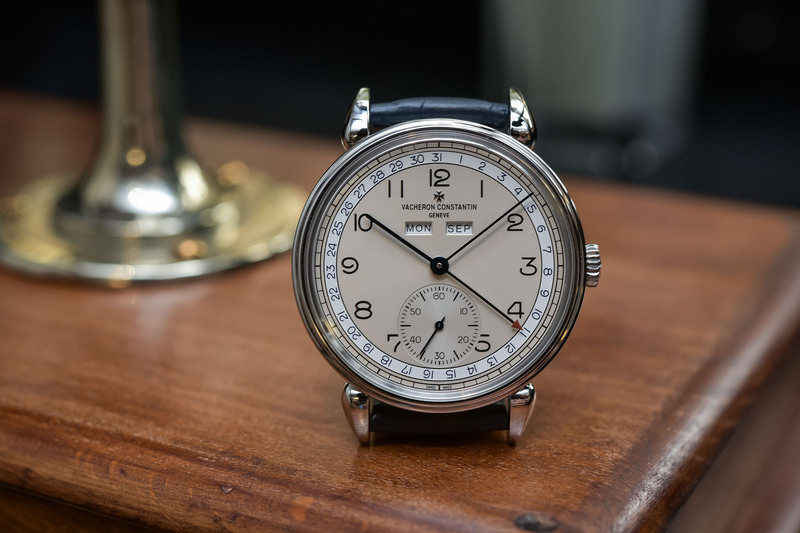 As you are no doubt aware, the Triple Calendar 1948 was launched last year with a stablemate, the Triple Calendar 1942 in steel (read Brice’s excellent review of that watch here). 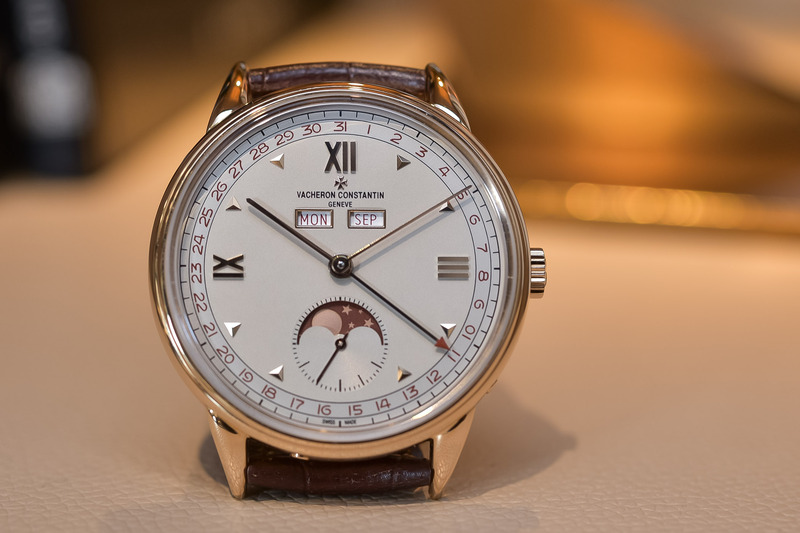 The reason the models were launched simultaneously is because both are based on the same watches from the 1940’s; the Vacheron Constantin reference 4240. These days, the reference 4240 is highly sought after by collectors. This is because it was Vacheron’s first wristwatch with a triple/complete/full calendar display and also because it was produced in such limited quantities. So much so, in fact, that doubts persisted for years as to whether the model even existed, with experts questioning the legitimacy of the few examples that did find their way into the public domain (generally at auction). Eventually the reference’s existence, and therefore, heritage was established beyond a reasonable doubt, earning it icon status in the vintage watch world. 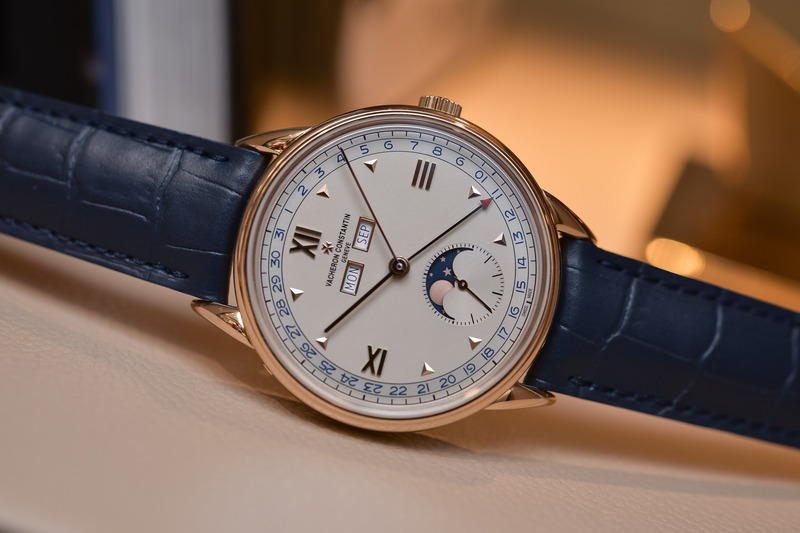 The initial reference 4240 was introduced in 1942, before being revised in 1948 with the addition of a moon phase display within the small seconds counter above 6 o’clock. This latter model was called reference 4240L (L standing for Lune). The original design featured a 35mm diameter case with triple gadroon profile and iconic “Cornes de Vache” lugs. The display incorporated a pointer date on the periphery, with the day of the week and the month shown through twin apertures at 10 and 2 o’clock respectively. 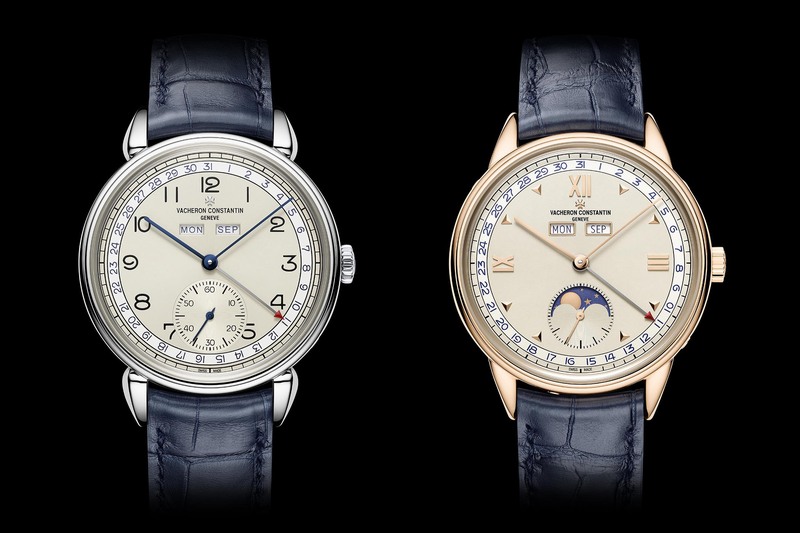 These watches were powered by the hand-wound calibre 485, with the addition of the moon complication on the 1948 edition. 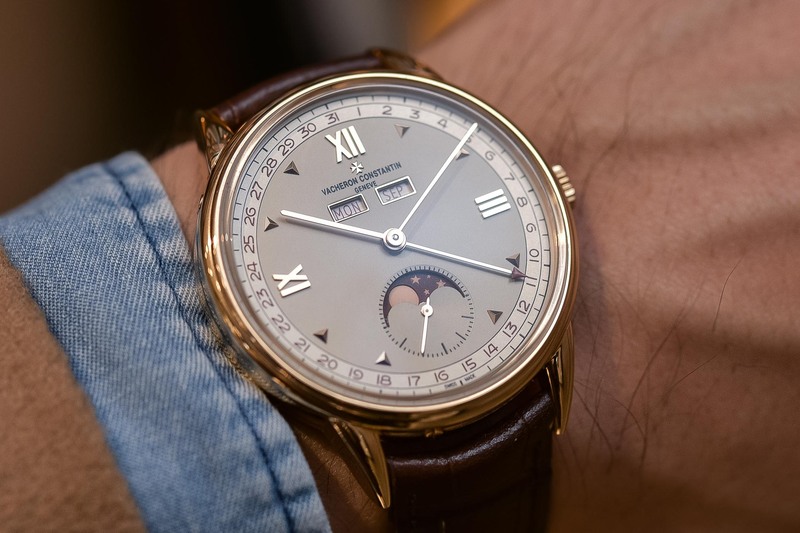 Enough with the history lesson though, let’s dive into the review of the modern-day Vacheron Constantin Historiques Triple Calendar 1948. 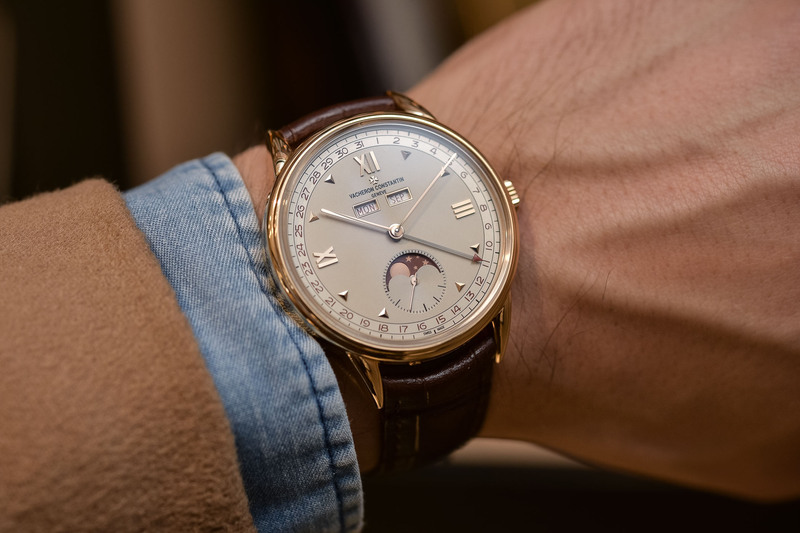 The first thing to note is that the round case of the Vacheron Constantin Historiques Triple Calendar 1948 has been updated to a more modern, albeit still very wearable, 40mm diameter. I am sure there are some purists out there who would prefer to see the case size max out at 38mm, but I honestly think this would make the display look a little cramped. Plus, this is a vintage-inspired watch, not a vintage watch and as such, it should have modern case dimensions. What hasn’t changed, however, is the distinctive shape of the case. Vacheron Constantin is well-known for its complex yet aesthetically pleasing cases, and the Historiques Triple Calendar 1948 is no exception. Its profile has been inspired directly by the ref. 4240L and, in fact, it shares the exact same case as the 1942 version. This means a raised sapphire crystal paired with a stepped bezel, and of course the distinctive “triple gadroon” case band. There are two key differences to the 1942 version, however. 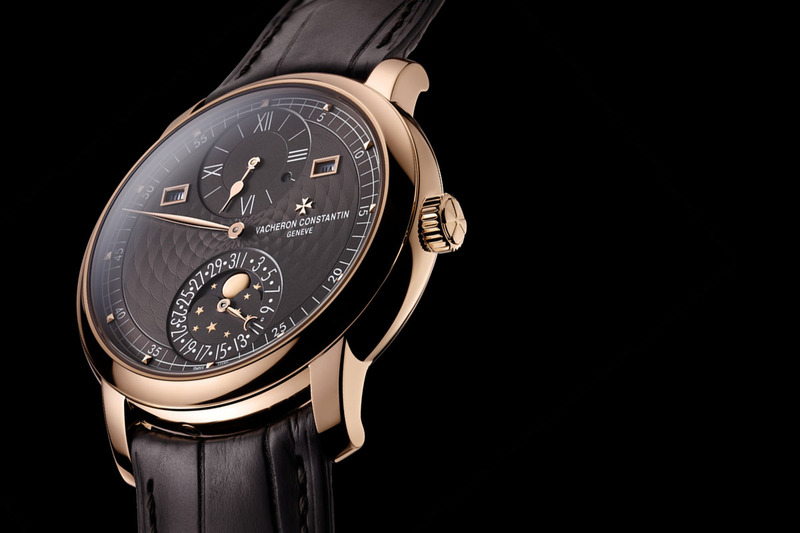 Firstly, the case of the 1948 is available exclusively in 18k 4N pink gold, in two limited series of just 200 pieces each. Secondly, unlike the 1942 version, which features more rounded “teardrop” lugs, this model features “claw” style lugs. These are slimmer and longer, giving the case a more elegant profile. 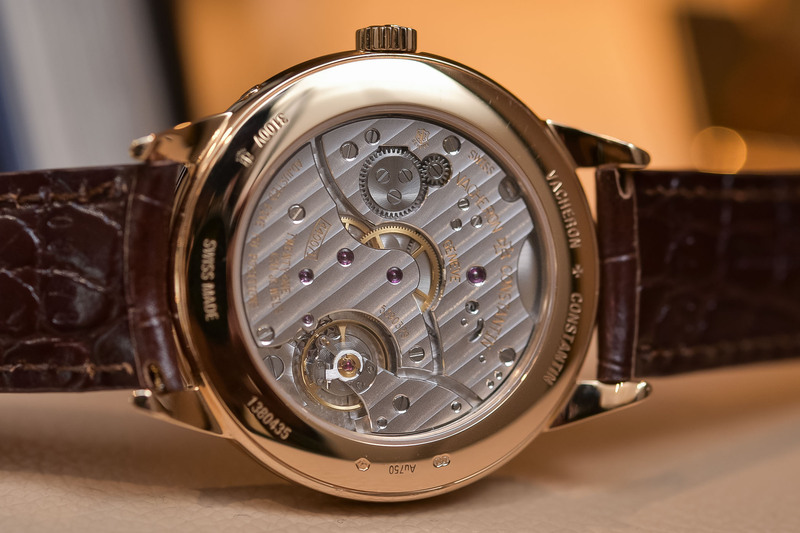 To me, this feels more like the proper “dress” watch out of the two models, which I’m sure is what Vacheron intended. On the wrist, it wears exceptionally comfortably. The case is completely polished and the slim(ish) 10.35mm height is ideal for a watch designed to be worn under a shirt cuff. Plus, the slightly curved, claw-style lugs ensure a snug fit on the wrist. Fortunately, they also aren’t quite as sharp as they first appear. Like the case, the layout of the two-tone dial remains very true to the vintage timepiece that inspired it: the reference 4240L. 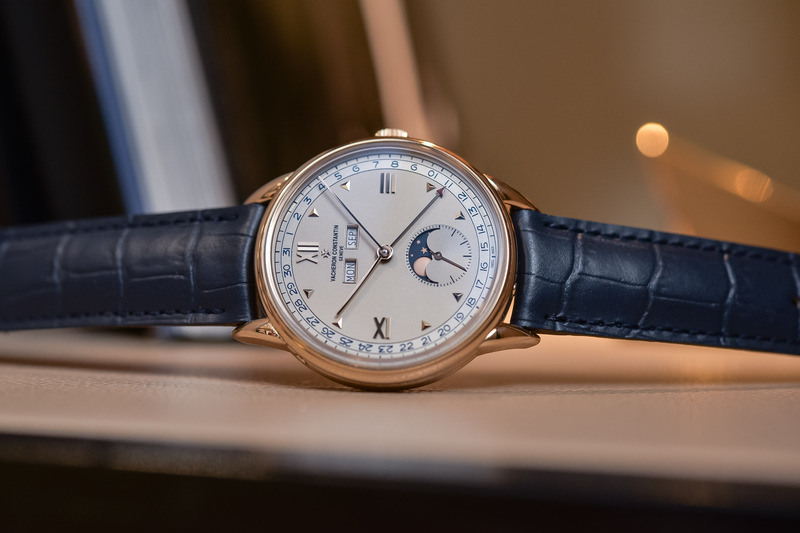 Hours and minutes are displayed centrally by baton-shaped gold hands, whilst small seconds are shown around the periphery of the sub-dial at six o’clock. A combination of appliques, either in the form of Roman numerals or shaped in faceted triangles, serve as the hour markers. This is in contrast to the 1942 version, which uses stylized Arabic numerals and is in-line with this model being the more formal of the two. The main talking point, of course, is the complete calendar display, replete with the moon phase indicator at six o’clock. The date is shown around the periphery of the main dial and indicated via a red-tipped pointer hand. The day of the week and the month are shown through the twin apertures at 10 and 2 o’clock respectively. I particularly like how these windows have been framed by gold. It’s a subtle touch but again it adds that sense of elegance and formality to the aesthetic and shows that Vacheron has taken a little creative license with the original 4240L design. Completing the look is the moon phase display, shown through an aperture in the sub-dial at 6 o’clock. As I mentioned earlier, this version is available in two limited series. Both versions have the same dial, with a silvered opaline centre and a sunburst satin-finished external zone but the colour scheme used on each is subtly different. If you look closely, you will notice that one uses dark blue for all calendar indications and the moon disc, whilst the other uses burgundy. Dark blue is arguably the more traditional choice, but I have to say I prefer the burgundy version, simply because it’s something a little different and it looks more in line with the gold case. The action isn’t just limited to the dial side, however. 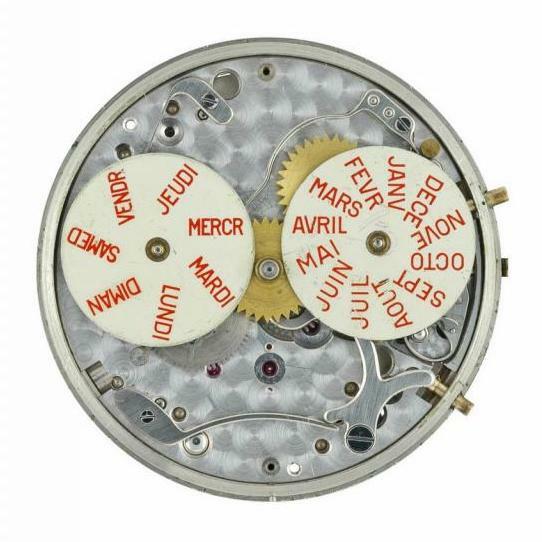 Turning the watch over, a sapphire case back reveals the in-house calibre 4400 QCL (QC for Quantième Complet, French for complete calendar and L for Lune, or moon). 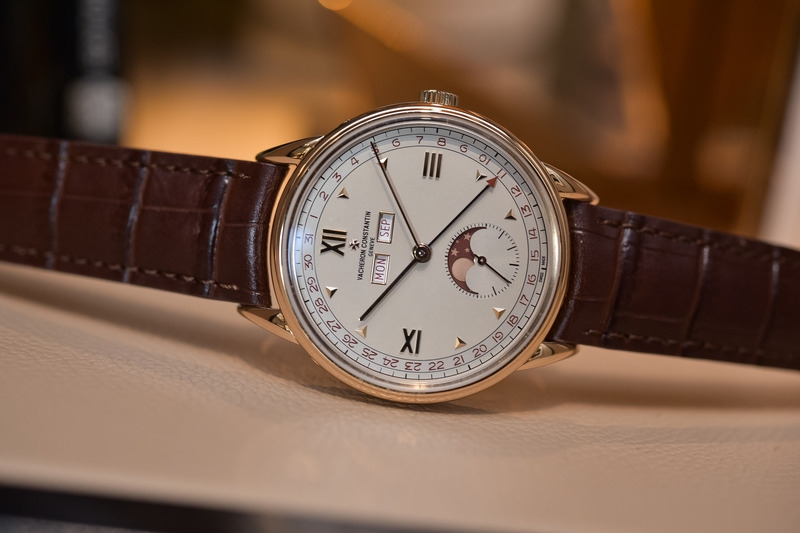 This is the same hand-wound movement as the one found in the 1942 version but with the addition of a moon phase module. 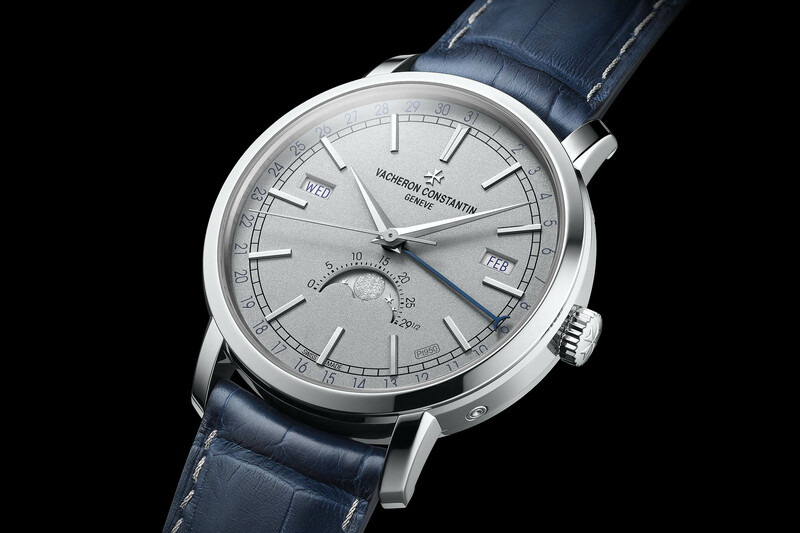 It’s based on Vacheron Constantin’s well-known calibre 4400, which powers several other models in the collection. 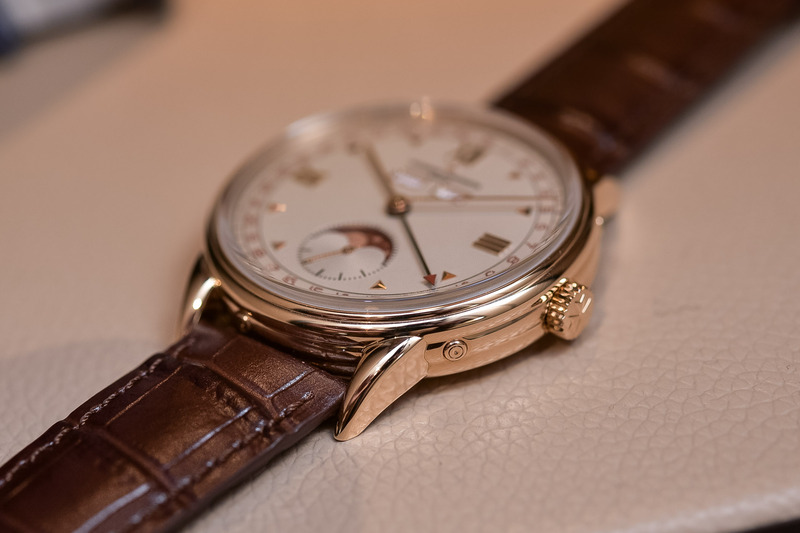 Hand-wound, it beats at a frequency of 4Hz and offers a max power reserve of 65 hours. 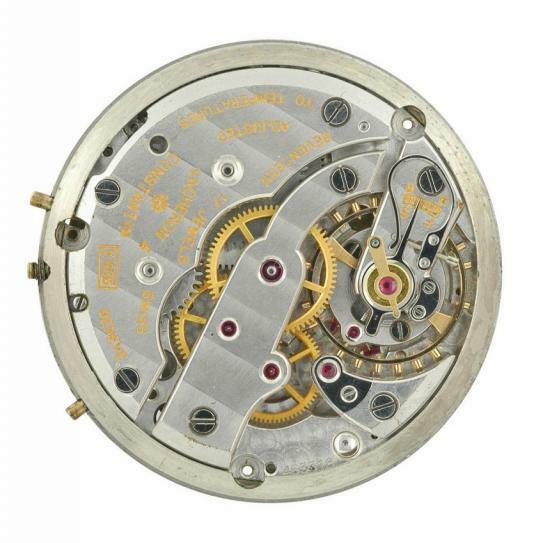 As Brice mentioned in his review of the 1942 version, the decoration of the movement itself is rather subdued, with relatively plain bridges. The level of finishing, however, is extremely high and demands closer inspection to be fully appreciated. 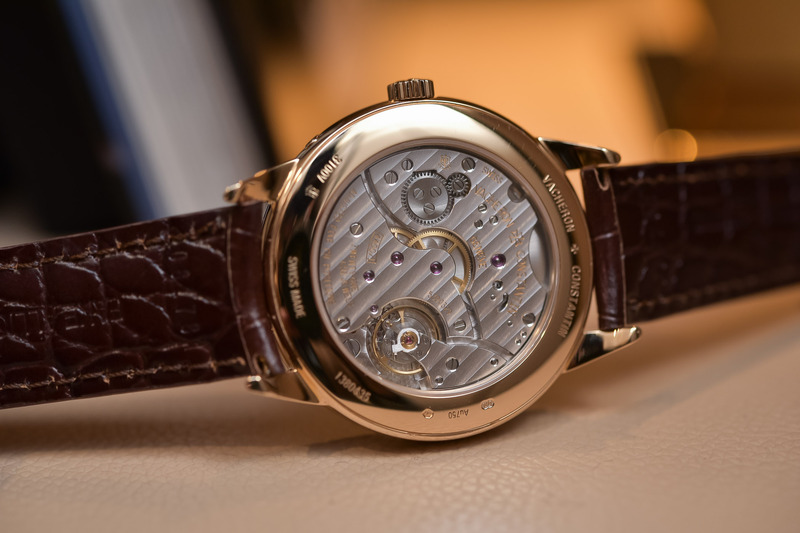 This is, of course, to be expected from a movement that bears the Hallmark of Geneva, and VC does not disappoint, with polished bevels, internal angles, bevelled wheel spokes, nice engravings and perlage on the main plate. 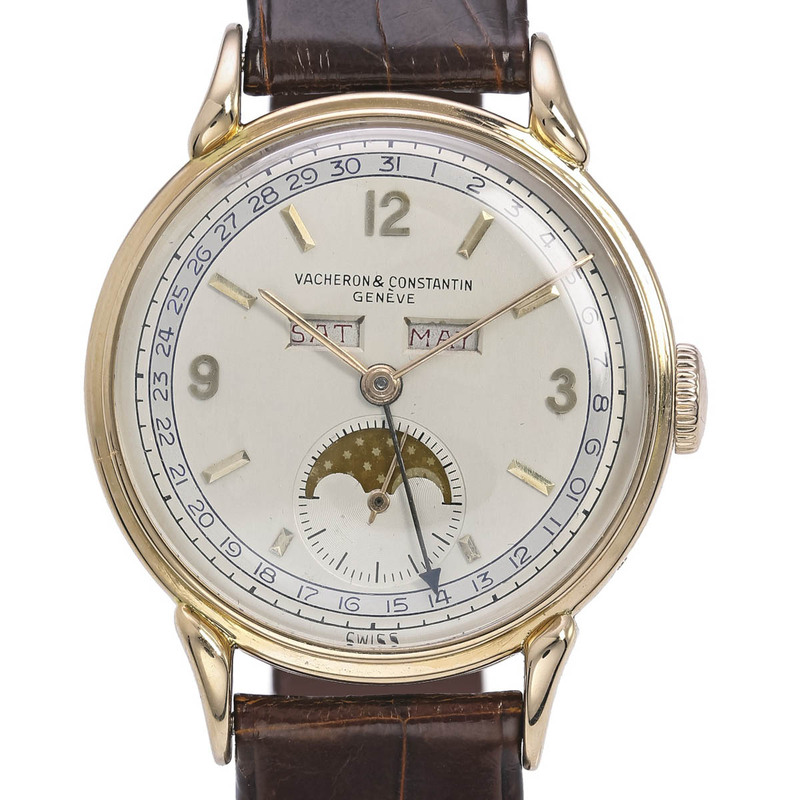 There’s no doubt there’s a lot to like about the Vacheron Constantin Historiques Triple Calendar 1948. 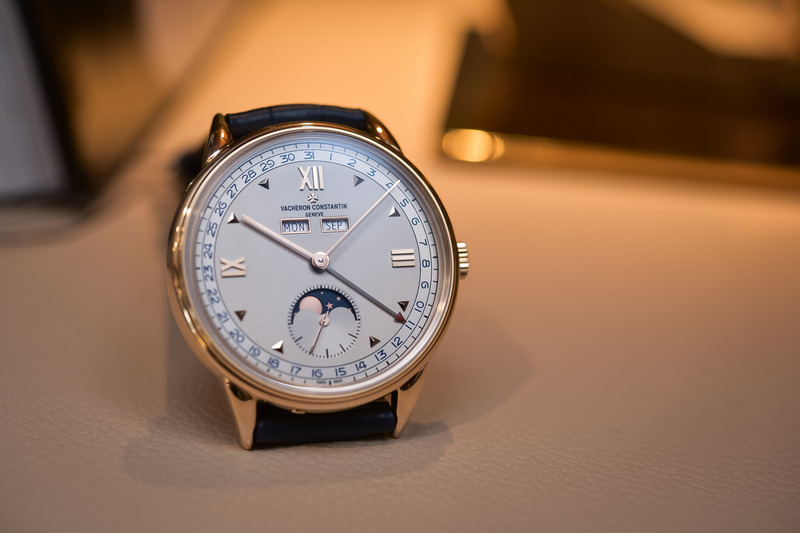 The execution of the case, dial and movement is top rate, and the complete calendar with moon phase, is, as Brice put it in an earlier article, “one of the most iconic displays ever.” I applaud the team at Vacheron Constantin for staying so true to the original version, whilst making subtle updates where necessary to improve the overall design and bring it into the 21st-century. Arguably, the audience for this model is slightly narrower than the contemporary-looking 1942 timepiece and this is reflected by the limited-edition strategy – limited edition of 200 pieces per colour. Pricing is set at EUR 35,000 and I imagine these pieces will sell quite well. 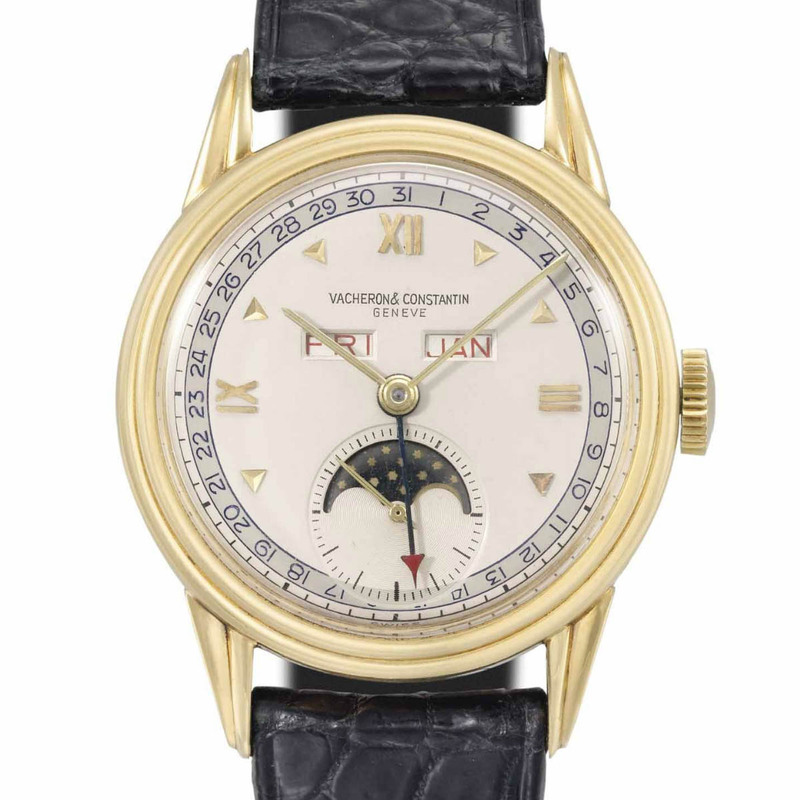 More details on www.vacheron-constantin.com. Strap: alligator leather in blue or brown, pink gold pin buckle. It is a standard full calendar that needs to be adjusted at the end of months with 30 or 28 days.